The main floor at Black Hat 2012 (Credits: Rachel C. Samples). 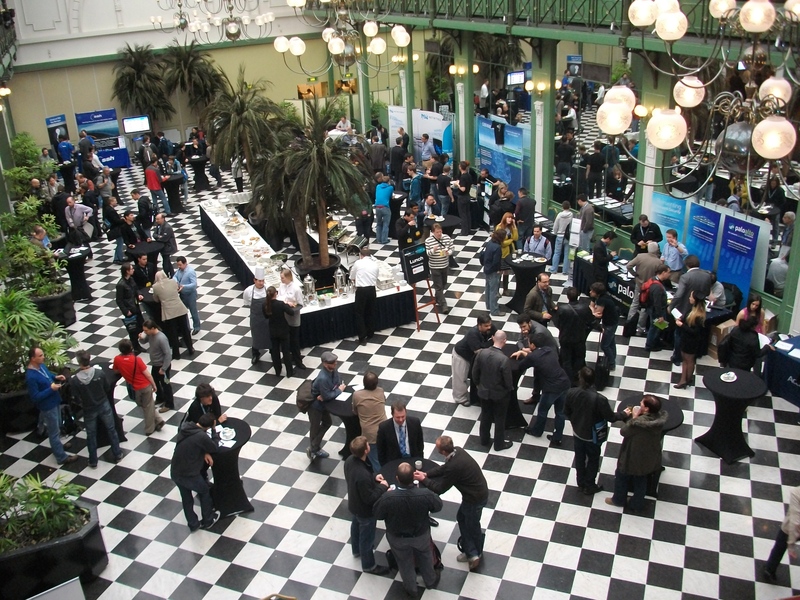 Leading corporations, government agencies, and the underground hacking community are gathered at the Black Hat Europe 2012 from March 14 to 16 in Amsterdam, the Netherlands to discuss the newest vulnerabilities, defense mechanisms, and industry trends in the cyber world. The Black Hat is a unique conference, combining training and seminars that cover the information security landscape at multiple levels. The event attracts some of the world’s leading security departments from the financial sector and government – should the space community start to take notice? The focus for security can extend from mobile devices to computer networks to GPS. The conference hosts a number of representatives from web browsers like Mozilla, and those that run anti-viruses, but many are not aware of the recent cyber securities plaguing the space sector. Although cybersecurity has been a global issue for years, only recently has space been prominently affected. Space Safety Magazine will be pursuing this concern with cyber professionals, discussing NASA Inspector General’s recently announced cyber security issues, some of the commonalities that the international financial and space sector face, the botnets malware that recently struck worldwide computer systems including NASA’s, switching to cloud computing, and the difficulties of communicating problems across different industries. 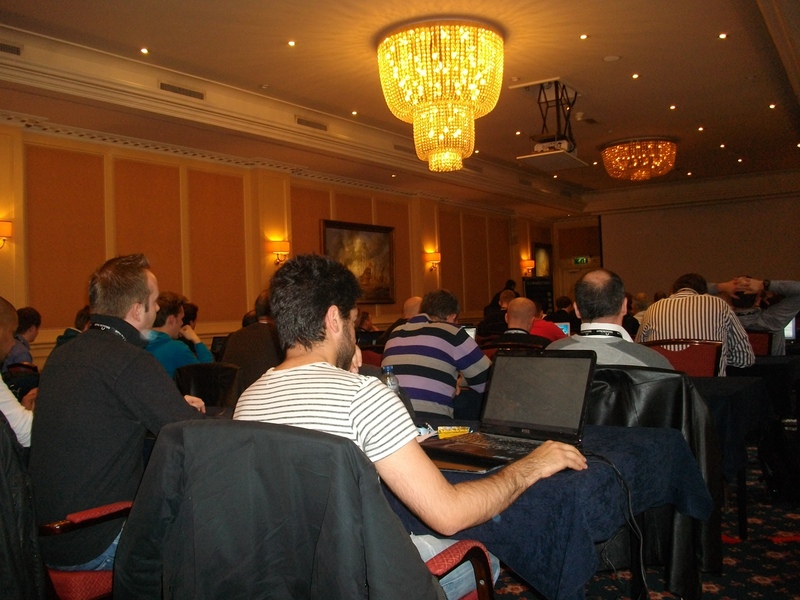 Cyber professionals participate in a Black Hat botnet workshop (Credits: Rachel C. Samples). On March 14, in a standing room only presentation at Black Hat Europe 2012 in the Netherlands, Dr. Ken Baylor of Gladius Consulting gave a two hour workshop on how to build a botnet. His goal was to teach security professionals to thoroughly understand one of their greatest threats: Botnets. Using the ZeuS botnet, also called Zbot, users are able to create and build their own custom bot. With this knowledge, security professionals can more easily protect their networks. Malware is everyone’s problem, and can result in the loss of data, information, and disruption of basic operations and missions. The number and reputation of malware could be helping to spread them. In an interview after the workshop, Baylor expresses why companies like NASA or other industries might have a harder time mitigating the risks of downloading Botnets and Advance Persistent Threat (APTs). Baylor explains that many technologies referred to as cutting-edge APTs are in fact old tools, old technology mixed in with social engineering. Botnets are becoming the tools of choice for APTs, as they are rapidly updated and excellent at avoiding detection. They usually rely on tricking users into installing them. Oftentimes, the offenders pretend to be legitimate network security administrators, and users will comply with their requests without question. A common security saying is, that the human element is always a point of vulnerability. Stay tuned as Space Safety Magazine continues to report from Black Hat 2012. Is there a transcript of the meeting somewhere? I’d love to get involved and would like to be up to speed as to what has already been discussed. There was a video service recording the sessions but I am not exactly sure on how to get a copy. I can tell you that I am a girl, thus this post was not written by him. I do value your comments and I am glad you enjoyed the article.